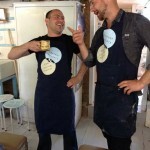 Looking for a creative and fun activity to reward or motivate your staff? Away from the office.The opportunity to bond with your colleagues in a fresh environment away from the distractions and interruptions of everyday life is recognised as a valuable one. 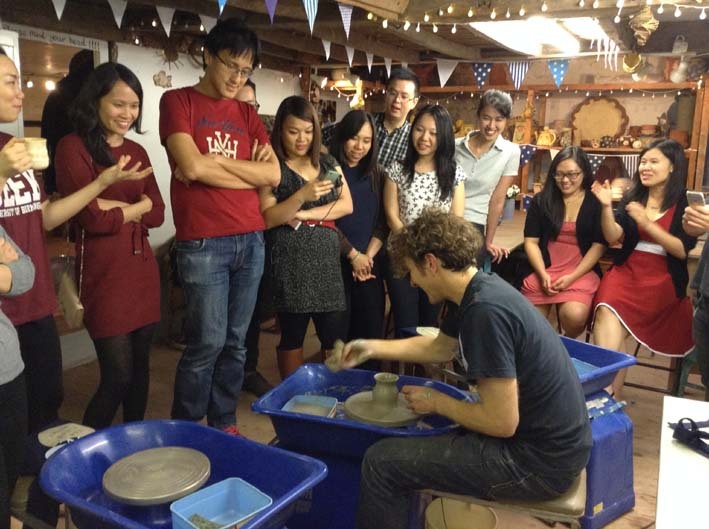 The unique and creative atmosphere of Eastnor Pottery provides the perfect setting for your team to engage with each other. 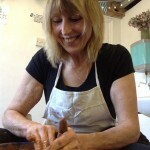 Coupled with the indisputable fact that making pottery is good for the mind body and soul, where else would you want to spend time having a good time and learning about each other’s strengths and attributes. Inexpensive creative fun. 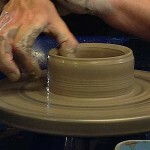 We have a range of clay projects exploring various making techniques including the potter’s wheel, starting at just £15 per head. 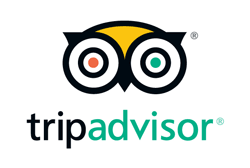 Team experiences last 1.5 hrs, 3 hrs or a full day and make for a great break-out activity for meetings and conferences held in Herefordshire, Worcestershire and Gloucestershire. Scheduling a meeting or event further afield? 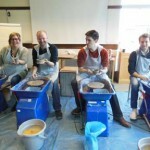 The Flying Potter would be delighted to offer the Eastnor Pottery Experience in a venue of your choice. Price available on request. Individual experience rewards. We’ve noticed forward thinking companies and organisations incentivize their staff by providing bursaries to spend on an experience or activity of their choice. We offer day and weekend potter’s wheel courses where participants immerse themselves in the art of making pots on the potter’s wheel. Participants often return to work or their everyday life relaxed, energised and with new perspective. Office party. 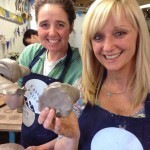 Getting creative with clay makes for a fun and fantastic alternative to the traditional Works Christmas do. Come and celebrate the end of another year with us. Prices range £15 – £95 per head depending what you want to do. 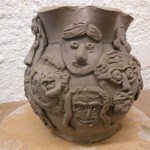 Contact the Pottery to check availability and discuss your requirements. We are open Tuesday – Saturday 10am – 4 pm. Sundays and evenings are available for large groups. 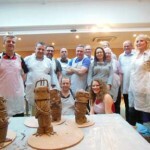 Looking for a bespoke team building activity? We appreciate there are many reasons organisations plan away days for their staff. It might be a product launch, addressing a sensitive issue or strategic planning. Whatever your objective, we pride ourselves of being able to design and deliver relevant and engaging clay projects and ceramic outcomes. 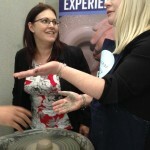 Please look at our team-building page for further details.